Evergreen Sr. Sec. School received the "QUALITY IN EDUCATION" and "INDIVIDUAL ATTENTION TO STUDENTS AWARD 2018". 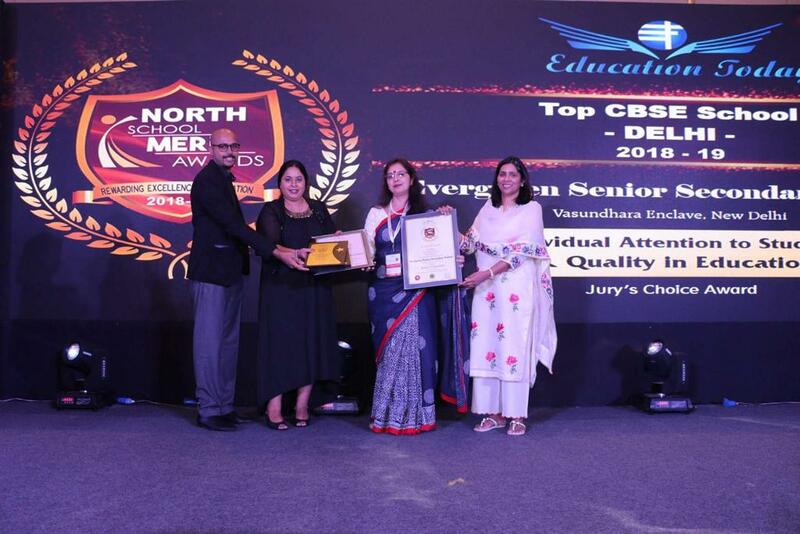 As an added feather in the cap, our School Principal Mrs. Priyanka Gulati has become the proud recipient of "LEADERS- THE PILLARS OF EDUCATION AWARD" under the Jurys Choice 2018 at the North School Merit Award function held at The Taj City Centre, Gurugram. Thank you Dear Parents, Staff and Students for your valuable contribution in taking the school to new heights. KUDOS TO THE ENTIRE TEAM OF THE SCHOOL!! !